Pictures from Space Received by Wythall Radio Amateurs! Antennas were turned skyward last weekend as Wythall Radio Club members listened for signals from the ISS – the International Space Station! 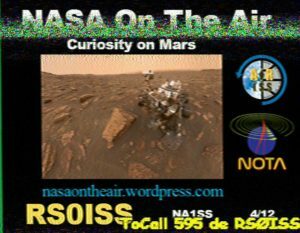 Slow Scan Television (SSTV) pictures were transmitted from the ISS amateur radio station using the callsign RS0ISS. Keen Wythall club members tracked the ISS’s location (see map below) and received the transmissions during its six 10-minute passes over Wythall during the weekend. The pictures commemorate important events in space exploration. 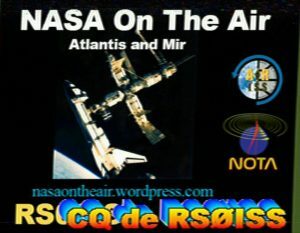 The ISS used a VHF transceiver with 25 watts output. This provides a very strong signal on 145.800MHz enabling reception using simple equipment – signals were even received on a handheld radio with a simple whip antenna! These SSTV transmissions are planned to fit around the ISS crew’s normal duties, so there are usually only one or two each year. 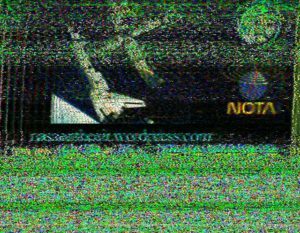 Each SSTV transmission lasted 2 minutes. As you can see from some of the pictures, we were unable to receive the complete transmission before the ISS travelled over the horizon and contact was lost. Compare the quality of the picture on the right with the much better reception of the same one above! Luckily the same pictures were transmitted on several passes! 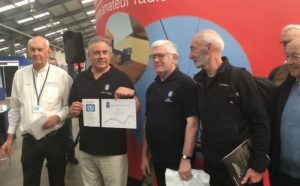 This event continues Wythall Radio Club’s activities with space radio – for more information click here. You can track the ISS and other satellites here and see views of earth from the ISS here. At the weekend, Wythall Radio Club members were celebrating again! We came runners-up in the National Radio Club of the Year Competition. 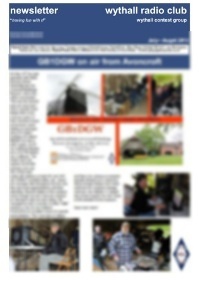 Club of the Year is run by the Radio Society of Great Britain and supported by Waters and Stanton radio retailers. Each year most clubs from around the UK compete to see who will be honoured with the title of Club of the Year. Wythall RC has been the regional winner every single time we have entered, but we have never made it to the finals, until now! Coming second to the excellent Essex Ham group is nothing to be ashamed of either. Essex Ham are probably the most progressive forward-looking Radio group in the country and are blazing a trail in how to re-invent such clubs for the 21st Century. So we are very proud of our achievements and apparently we have a £250 voucher to spend in Waters and Stanton‘s store too! What will we be getting next?